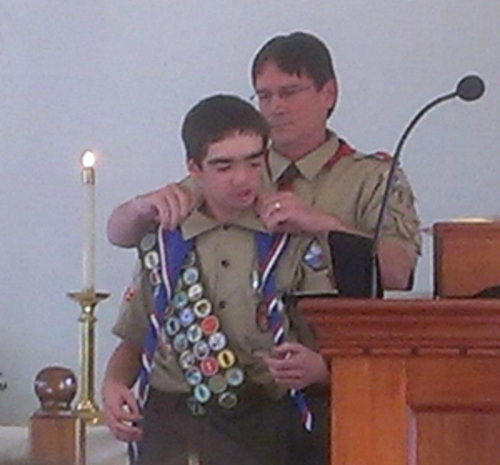 Orleans, Mass, -- On Saturday November 24th Nathan Garran was awarded his Eagle Scout at a Court of Honor held at the Eastham United Methodist Church. Nathan is a 16 year old Junior at Nauset High School. Among many other activities Nathan has volunteered for the Orleans Firebirds of the Cape Cod Baseball League since 2005 as a bat boy and for the past two years as an intern. 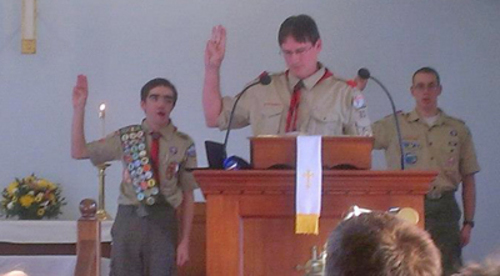 In Nathan's Eagle Scout Leadership project he led more than 30 Scouts and leaders in building a handicap ramp including a deck and walkway at his church's office. He simultaneously led a group of workers who rebuilt the front entranceway to the office and another group that did grounds maintenance. In all, Nathan and his group of volunteers donated more than 350 hours of time for the project. The Cape Cod Baseball League is extremely proud of Nathan and the role model he has become for so many others.